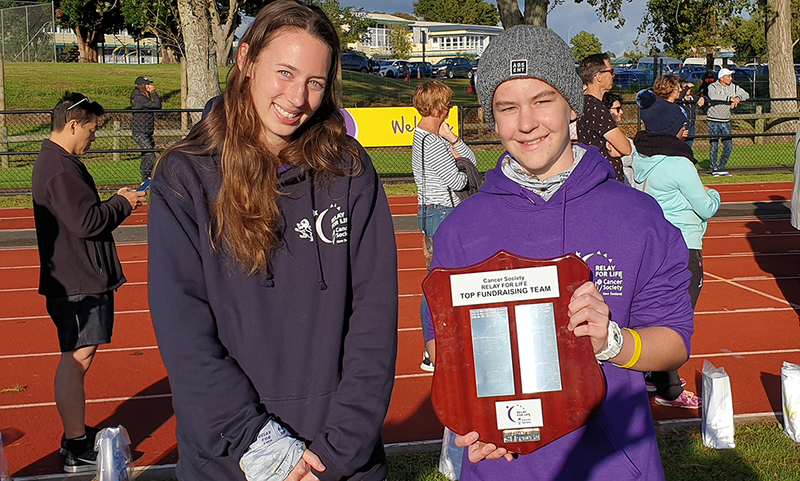 Teacher in charge Alayna Pulham is pictured above with one of the top fundraisers, William Bell-Purchas, and the Top Fundraising Team Trophy. 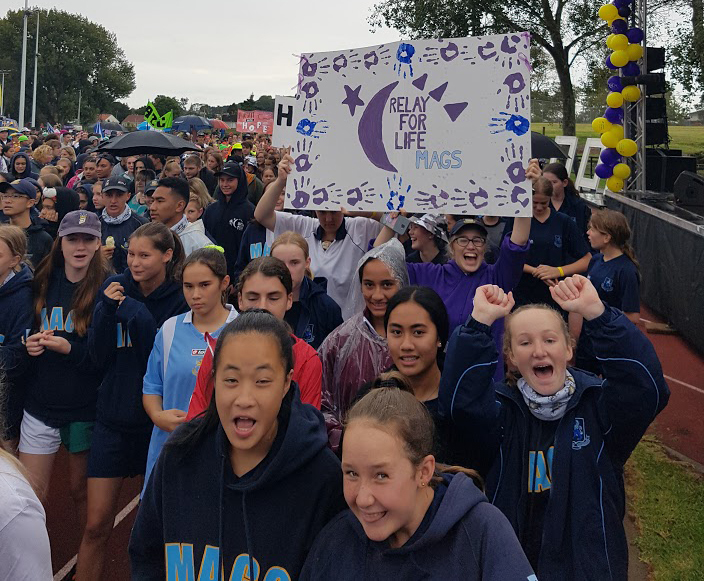 MAGS is once again the top fundraising team at Relay for Life and has set a new benchmark, with at least $108,000 raised for the Cancer Society. 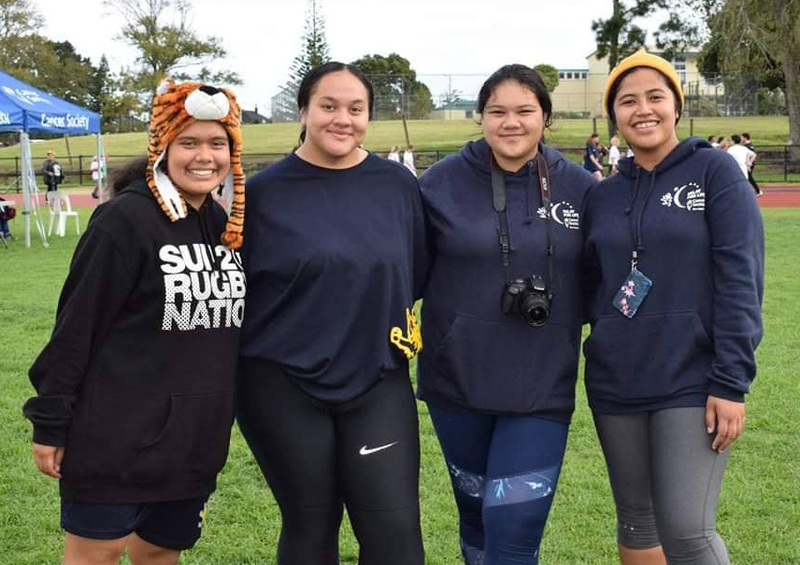 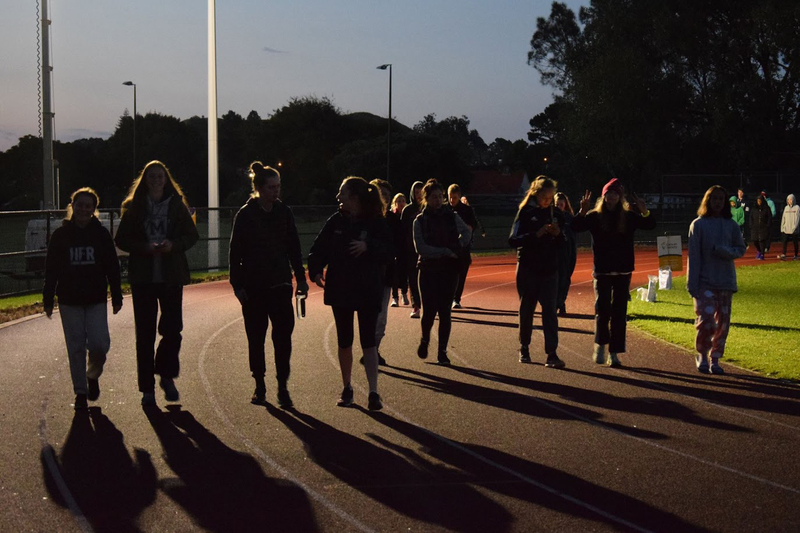 At the Auckland Central Relay for Life held at Mount Roskill’s Lovelock Track, students and staff ran laps from 3pm on Saturday to 8am on Sunday (18 hours, with the clocks going back at the end of Daylight Saving). 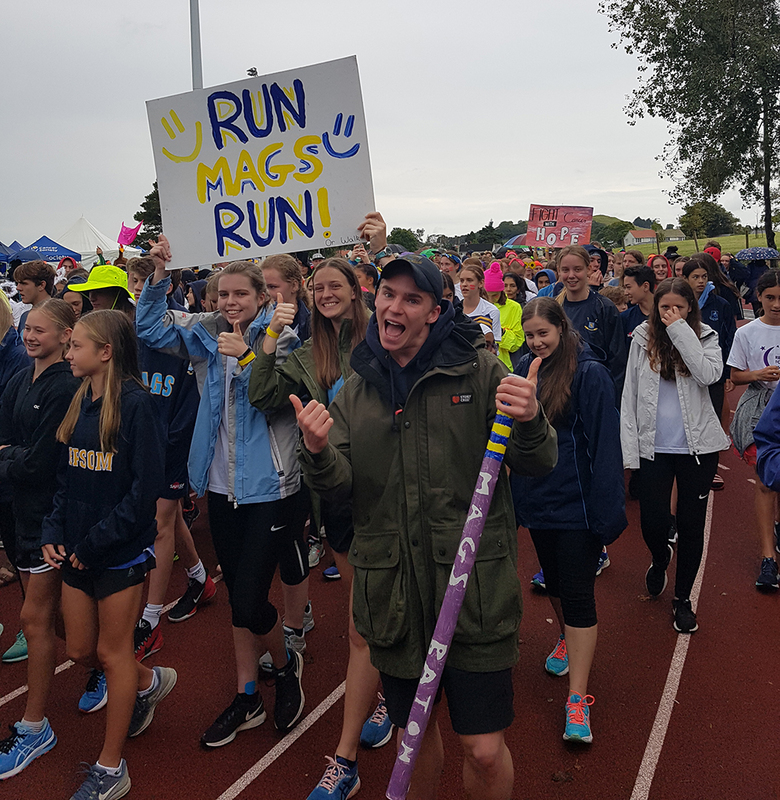 The MAGS team completed 27331 laps of the 400m track, with the top runner being Ben Hellriegel with 220 laps. 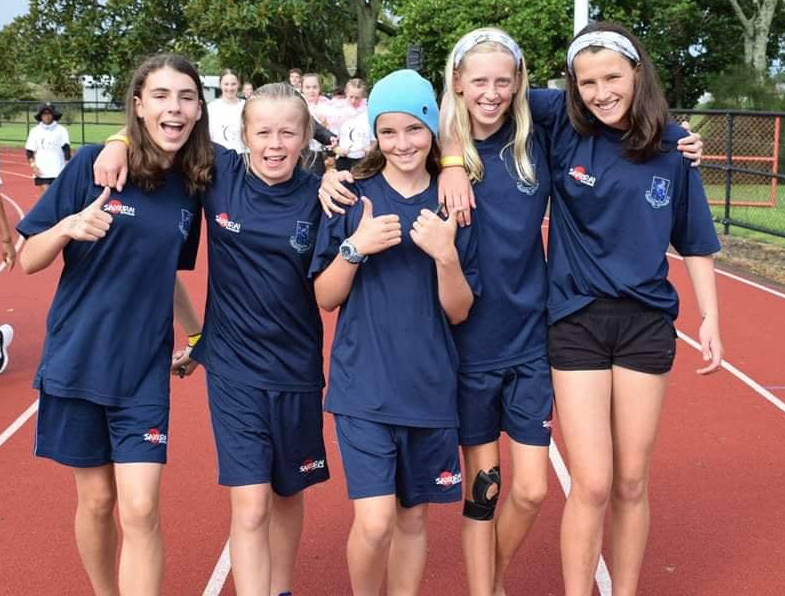 Other top runners were Izzy Smith (214 laps), Nofolisi Hala (210), Theo Brown (210), Josiah Murphy (206), Liam Baber (200), Lukasz Swain (200) and Nico Stroud (200). 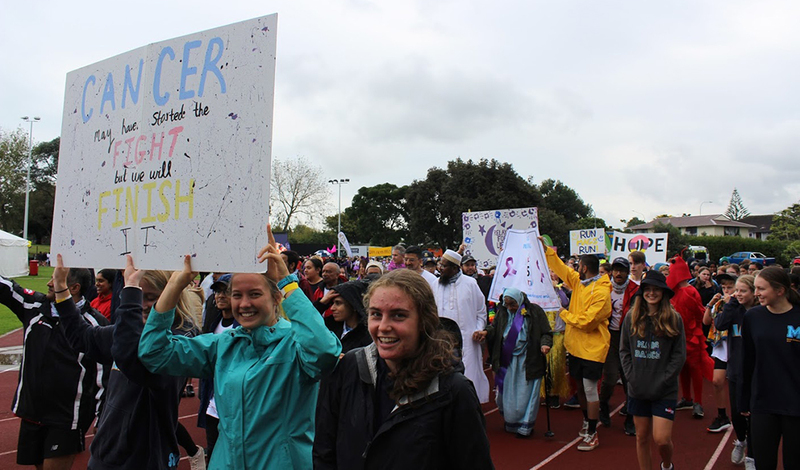 The top fundraisers were Hope Tuitama ($3005), Eva Williams ($2080), William Bell-Purchas ($2065), Sarah Brinck ($1538) and Ella Sutton ($1391). 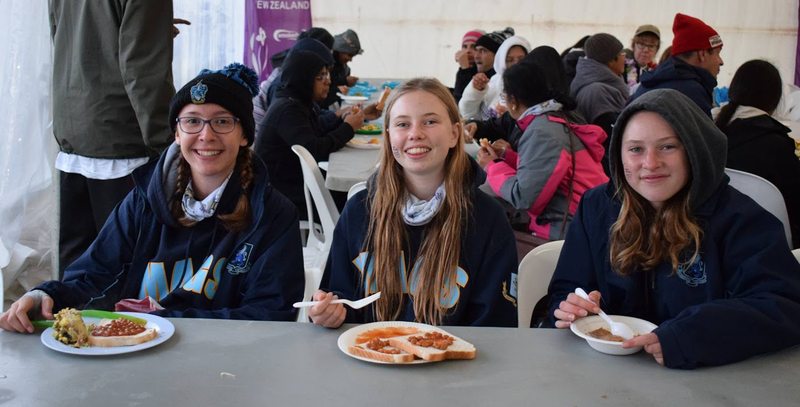 On top of that, 13 students raised over $1000 and 220 students have already reached their $200 goal with many others collecting in the last of their money over the next month. 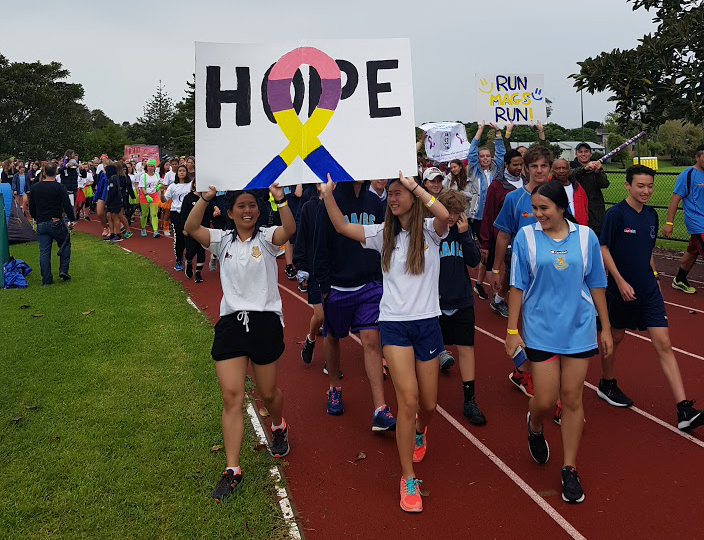 The due date for the final amount is on May 3 but last year’s record total of $100,000 has already been eclipsed. 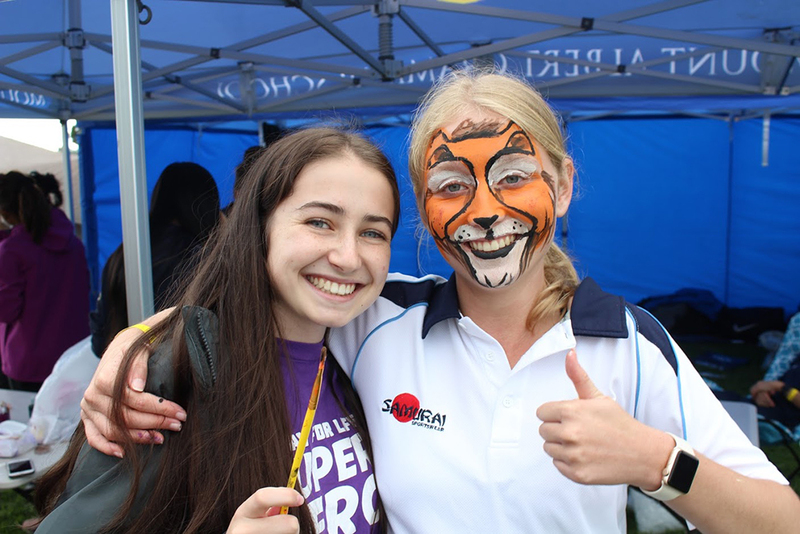 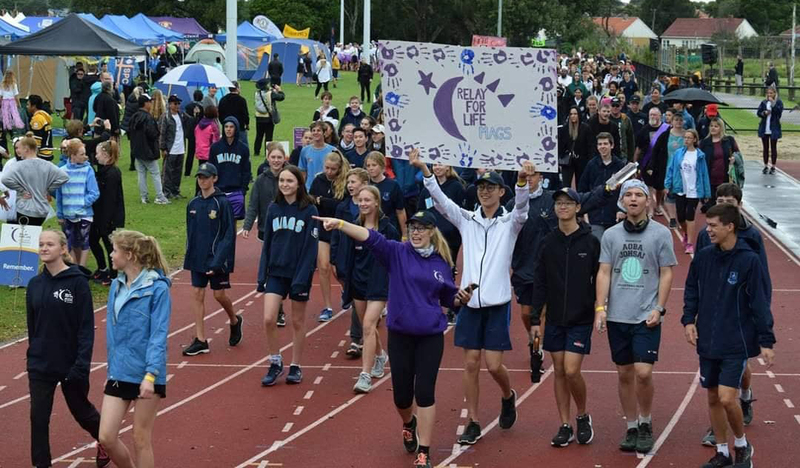 Ms Pulham said, “There are three students – Madison Walker, Charlotte Wilson and Jen Blakeley – who have shown utter commitment to Relay for Life and have been in the MAGS team every year since they started school at MAGS. 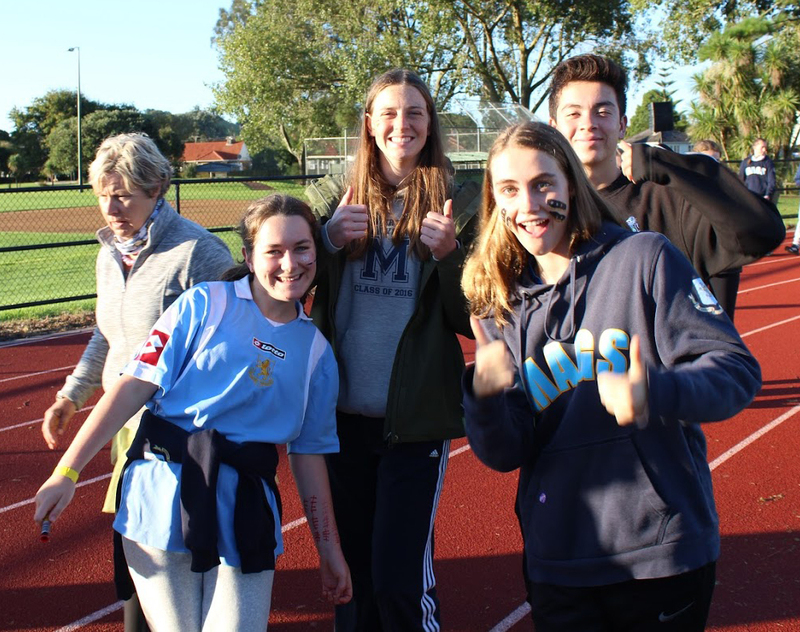 “So many students deserve recognition for all of the things they have done to help out this year. 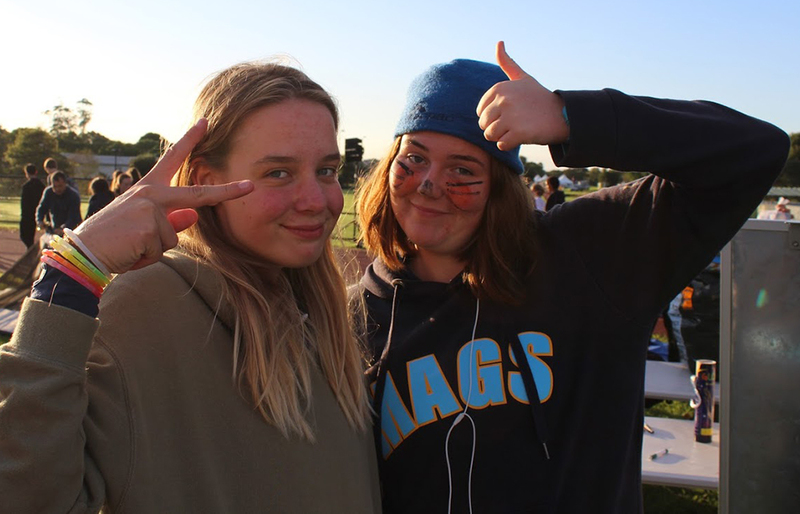 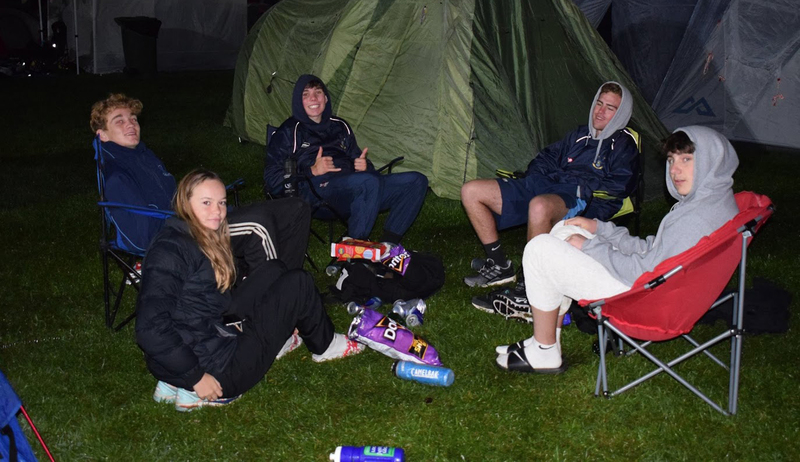 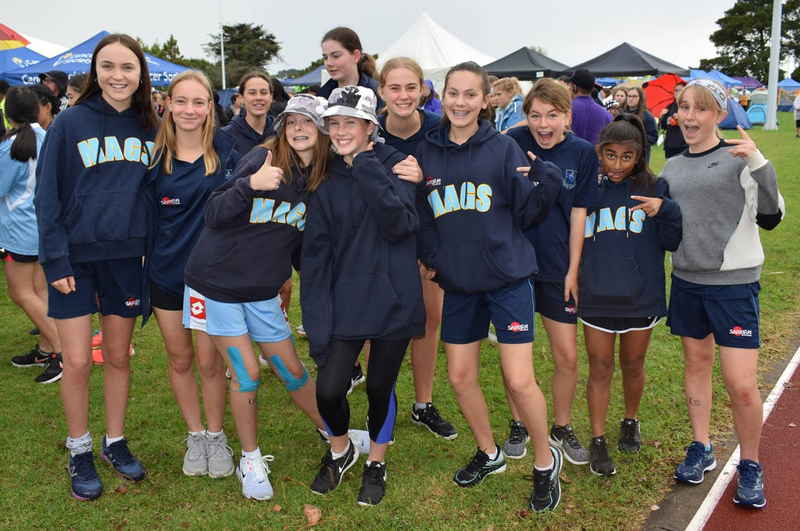 Many students stepped up and helped set up marquees during their free Period 5 on a Friday, and organised new fundraising initiatives such as “Eva Eats”, samosas, pizza lunches and making honey wraps to sell in order to make money to donate towards their fundraising page.